Is it a statement about contemporary crimes against the elderly? Or just an excuse to make simplistic jokes about the hard of hearing? You do wonder what could have been done with a few more issues though. 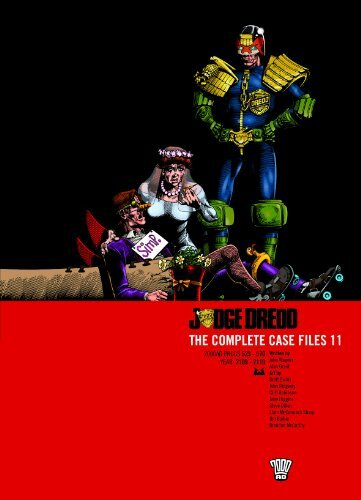 It’s not a new idea but testament to the setting that Dredd is flexible enough to handle a story that is solely humorous. It is in the vein of Genie (Prog 514) or Navel Manoeuvres (Prog 516) and is easy to brush out of the Dredd canon. You can see more than a touch of Douglas Adams in the Alan Grant written story. It’s nothing special sadly. The best thing about it is the toilet humour at the start. Although like many stories recently it does promise a future follow-up. Is it another disposable story tainted by orientalism? Not nearly as bad as the Stan Lee or Warlord episodes thankfully. And there is a humorous message at the end. Maybe some enlightenment is being reached. Simping returns (from Prog 527) as we were told it would. It’s nice to see characters and storylines return as it makes the world seem more coherent and less as disposable entertainment. This is a hitman story. It has a neat little twist and keeps you entertained till the end. It also sees Dredd having some doubts about his actions in the previous story Oz. There is no doubt that Wagner and Grant do their best work in the longer format and this is a real beauty. It has been a while since we have seen an epic length tale. Not since we last saw Chopper in the Midnight Surfer in fact. Marlon Shakespeare makes a superb protagonist because he is the closest thing to normal the mega-city has. He isn’t a criminal but is criminalised by the system he lives within. He makes a superb point of view character for the reader and it is so easy to empathise with his struggle. There is no time-travel, alien, supernatural gimmick in his stories and as such we can easily transpose his struggles to our own. Just like the Midnight Surfer we have a slow build up with plenty of room to let the story breathe and grow. The narration is superbly poetic and there are plenty of human touchstones along the way from his childhood friend to fans on the street. It is not all rosy however. There are number of racial stereotypes ranging from the lazy to the offensive. At one point there is even a note from the editor to explain that these views do not represent 2000AD. 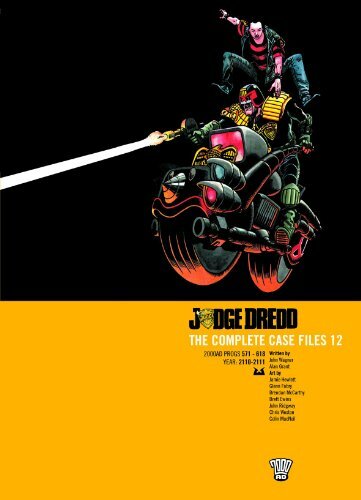 The injection of the second storyline, the Judda, seems unplanned and uncoordinated, possibly as a filler for some delayed script or art, even though it is quite a significant addition to the Dredd canon. The ending itself is just breath-taking. The actual race is sustained over six nail-biting issues with a spot-on commentary that reads like the greatest Derby ever seen. Best of all Chopper doesn’t have the trite hero’s victory you would expect from a kid’s comic. And the last few pages where he faces death are absolutely electric. This is probably the most sophisticated and greatest Dredd story to date.